Well hello to you my reader chums! 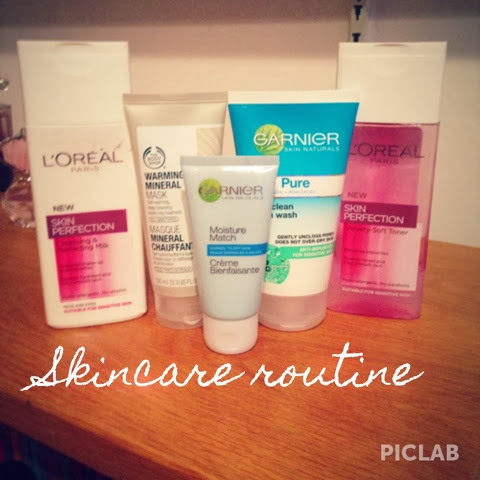 The second topic for the #2014BloggerChallenge was all about Skincare! Recently I've got more into Skincare and added a couple more products to my routine. Here's everything I like to use, I'm going to talk you through my daily Skincare routine and add in a few tips. 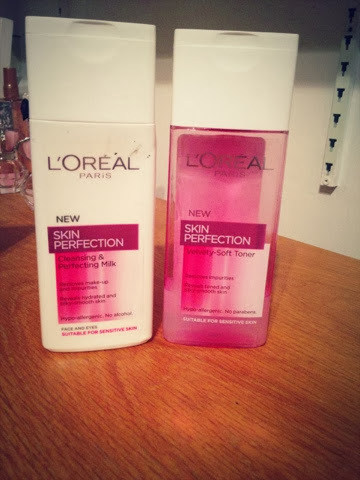 Day and night I use this cleanser and toner by L'oreal. In the morning I would wipe the cleanser and toner all over my face with a cotton pad after I've rinsed and dried my face to take off excess make up that wasn't removed from the previous evening and all impurities/bacteria left over in this skin. 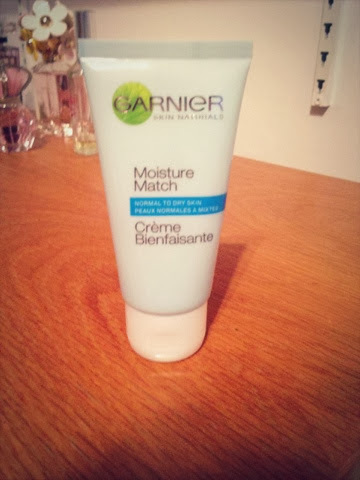 Following that I would apply my moisturiser, I use the moisture match by Garnier for normal to dry skin. I've been using this for so long that it's probably been mentioned quite a few times before! For the night time I would cleanse my skin with the cleanser shown above to remove all the make up worn in the day. Then I would go ahead and wash my face with this face wash which helps unclog the pores. I've only used this recently and it honestly has made such a difference, my skin feels so much more fresher and healthier. It feels like it does the job and gets rid of all the nasty germs on the skin. I then wipe the toner all over the face with a cotton pad and I'm done! I don't like to moisturise in the evening as I like to give my skin the chance to breathe. 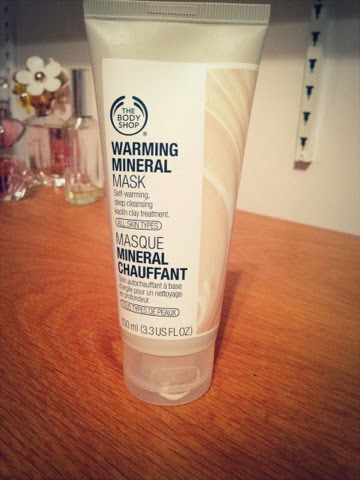 The final product I want to show you which I don't use daily, like once/twice a week is this warming face mask from the body shop. My mum brought this home the other week to test out and wow it's amazing. When you put it on it has this warm sensation and this perfect ginger scent, you leave it on for five minutes then wash it off. I noticed the difference straight away, my skin felt instantly healthier and clean. 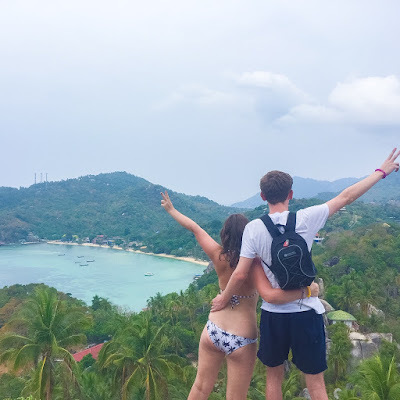 I've now added this to my routine as I fell in love with it straight away! Hope you enjoyed reading my Skincare routine! Have make up free days from time to time to give the skin a chance to breathe! Don't touch your face often during the day, it sounds weird but your just putting bacteria of things you've touched around you onto your skin. Don't pop a spot as tempting as it is, it'll just cause more spots to produce and can leave scars. Clean your make up brushes regularly! 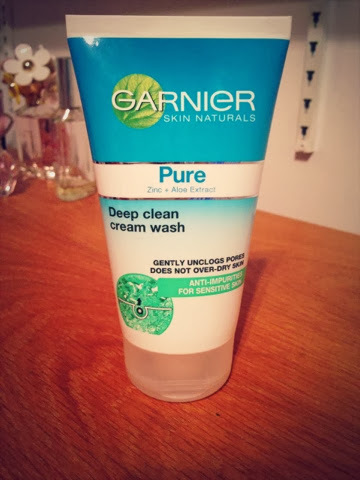 I have a Garnier moisturizer from the same range, only for oily skin. Ha ha!